I always wanted to try one of these. The Dr. Stopped making them for some reason. I think only 32 exist. 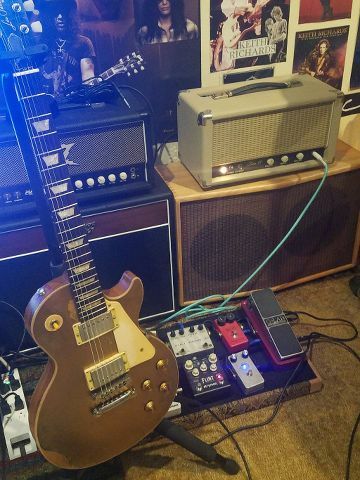 Its supposed to have a killer clean tone like a Old Marshall.... . To me that says Dickey Betts . This one belonged to Micheal Burks drummer , he cant confirm that Mike ever used it but its highly probable. Im currently looking for a higher wattage speaker for my 1x12 for it. I had to google what you were talking about. I'm not up to snuff on amps. Found this for ya … if you didn't already know about it. For yrs ive been hearing this amp talked about in such legendary status. Again I believe only 35 exist. Its way more power then ill ever need but i needed to try it! Lol......from the way they talk on the Dr. Z forum there.......i shouldnt have a problem selling it if i must. Thanks for that link!!! I'm off today. I joined this morning and spent all Sunday reading and really learned a TON. Actual posts from DR.Z himself. Very cool. 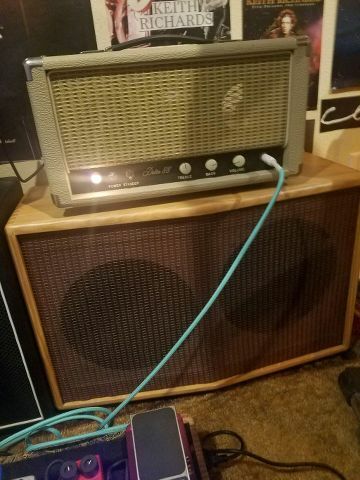 Apparently this amp was first designed for Pedal Steel guitar players. But regular Guitar players loved it . So he redesigned the amp some and reissued it as the Surgical steel for the Pedal steel crowd. Everyone bought his lower watt amps so he discontinued the Delta 88 after making only 35 units. (mine is #33). And a legend was born. Many have claimed for yrs that its a Les Pauls best friend. This will be fun either way to own for a while! The only Delta 88 Clip I could find anywhere except for Michael Burk of course...……..
Wow. The vintage sound oozes out of that thing. For us jazz guys, I'd like to hear a clean version of a low-watt amp through a single 12" speaker. What im learning on the ZTalk site.....nothing is ever really discontinued, amps are improved and given new names. Amps evolve. I believe less is more , less knobs that is , so Z's really work for me.